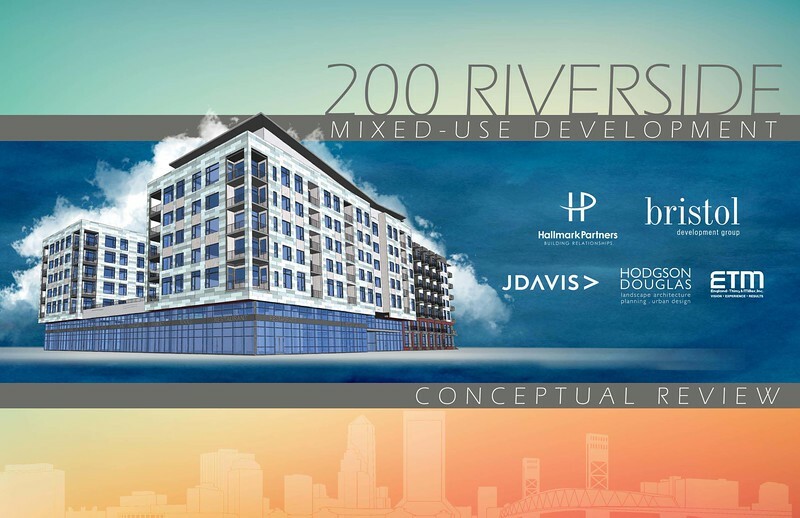 Fresh off the successful completion of 220 Riverside, Hallmark Partners and Bristol Development Group are moving forward with plans for a second mixed-use project in Brooklyn. 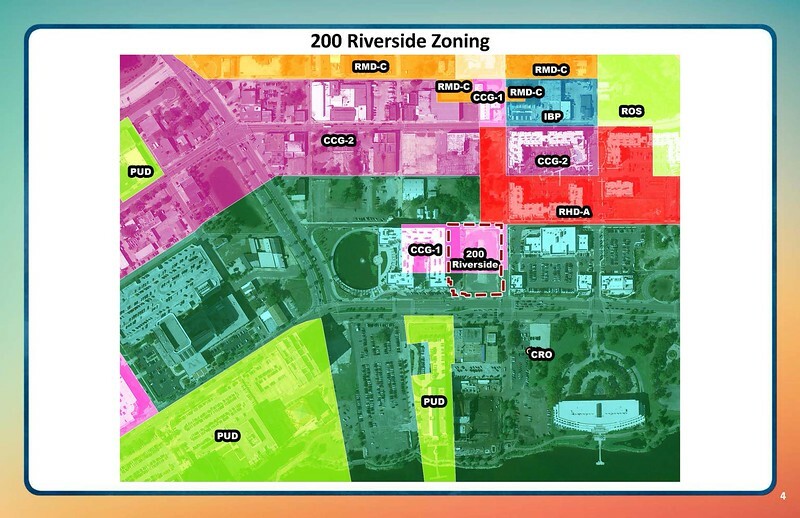 This week, the team will be seeking Downtown Development Review Board (DDRB) conceptual approval for 200 Riverside. 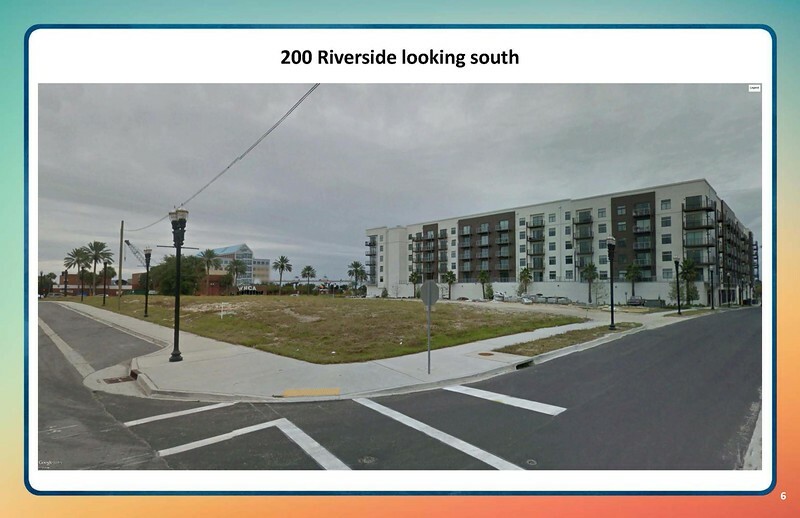 200 Riverside will be a 7 story structure with 17,000 square feet of retail on the first floor facing Riverside Avenue and Jackson Street with 13 townhomes fronting Jackson and Magnolia Streets. 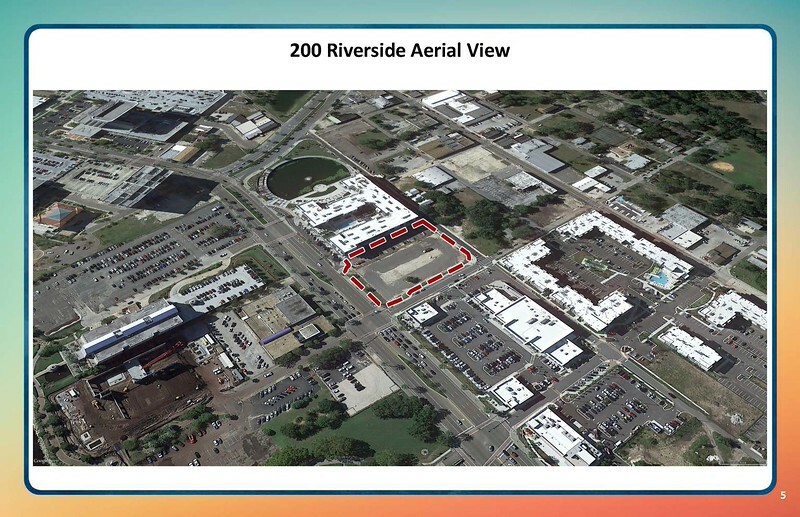 The remainder floors above will include the remainder of the residential units for a total of 197 units. 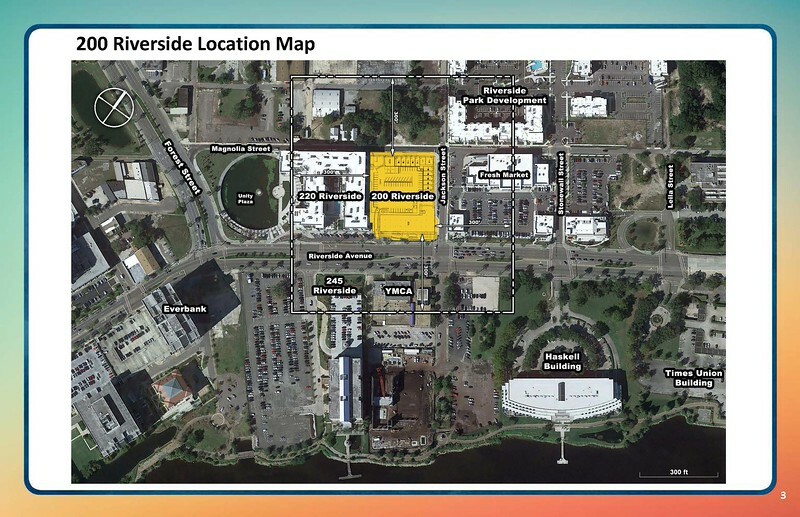 The project includes a 3 level parking garage with 350 spaces. 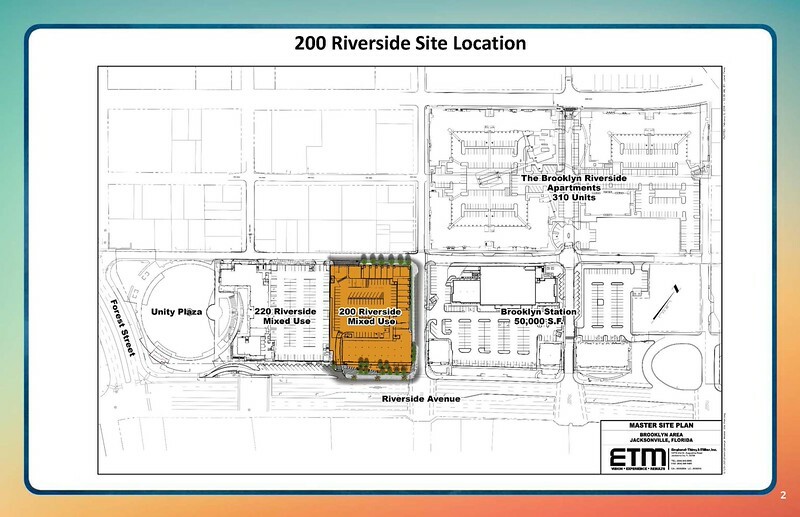 200 Riverside will be located between 220 Riverside and the Brooklyn Station shopping center. 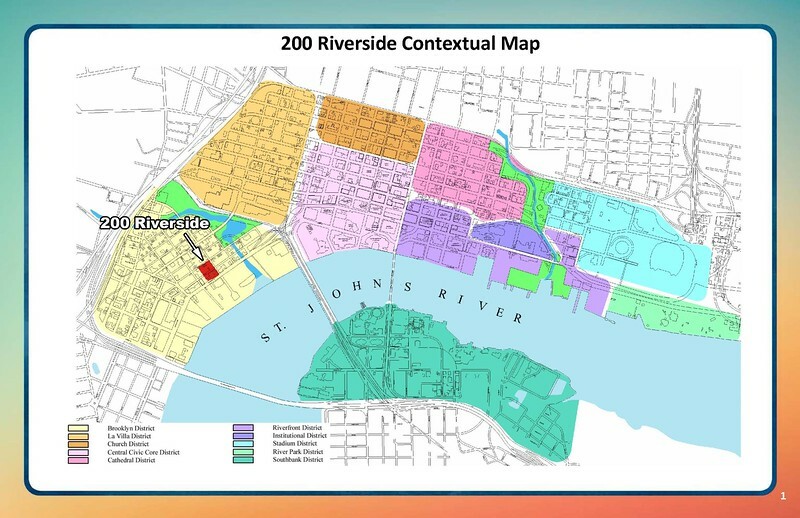 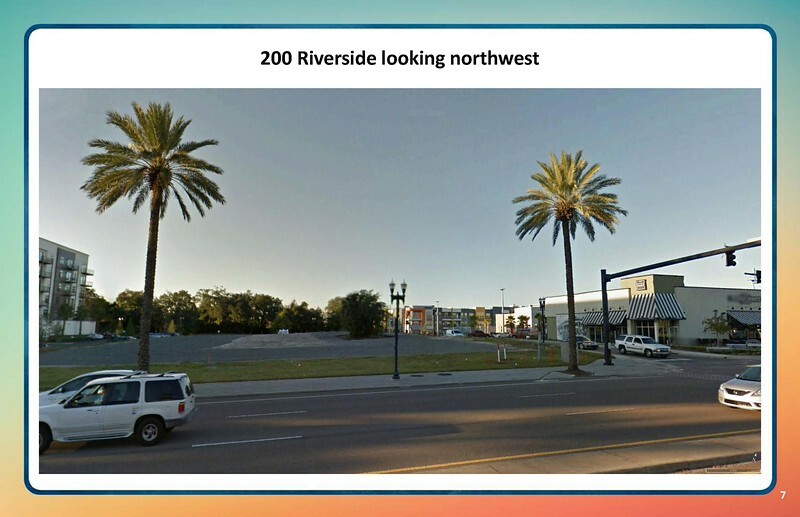 Here's a look at the 200 Riverside presentation prepared for this week's DDRB meeting.